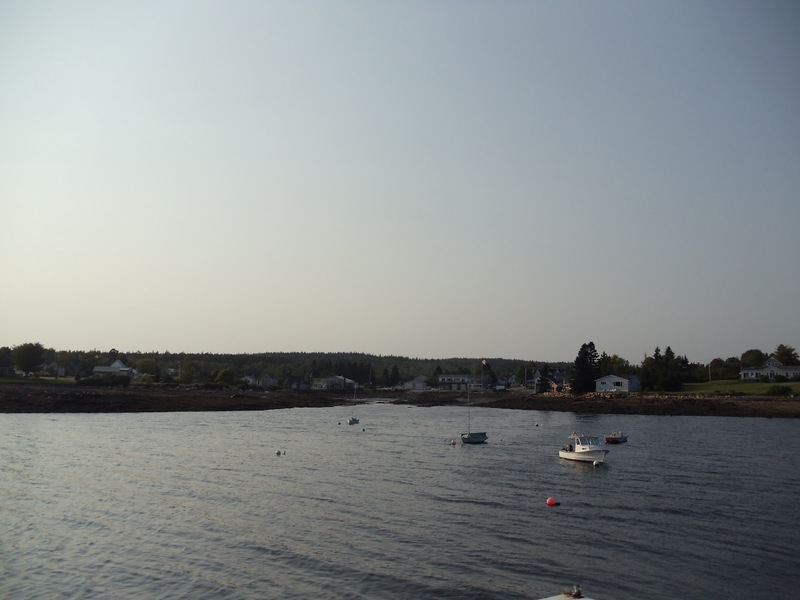 The second stop on our little Hot Doggin' in Maine tour was the achingly scenic community of Winter Harbor, Maine. 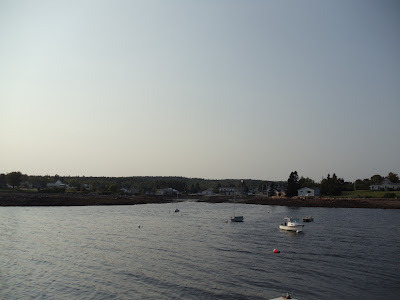 This little Down East Maine village of 500 or so people is breathtakingly beautiful; I didn't want to leave! 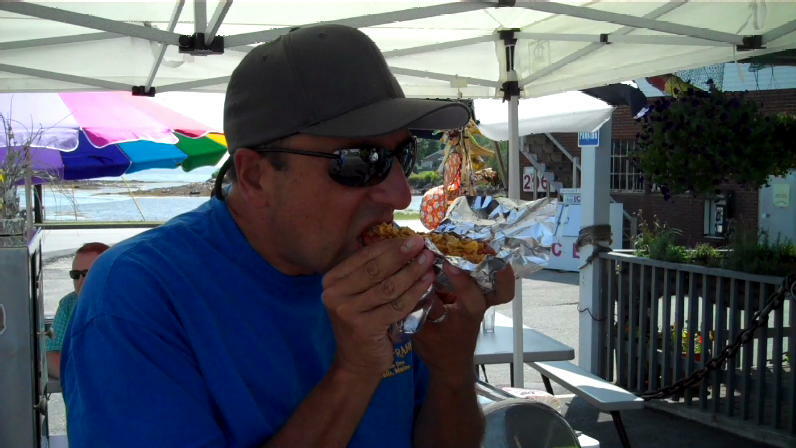 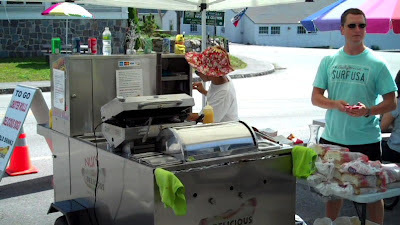 Winter Harbor, known for its annual Lobster Fest, is also the home of Nui's Delicious Dogs, a spiffy little hot dog cart in the parking lot of the Fisherman's Inn. 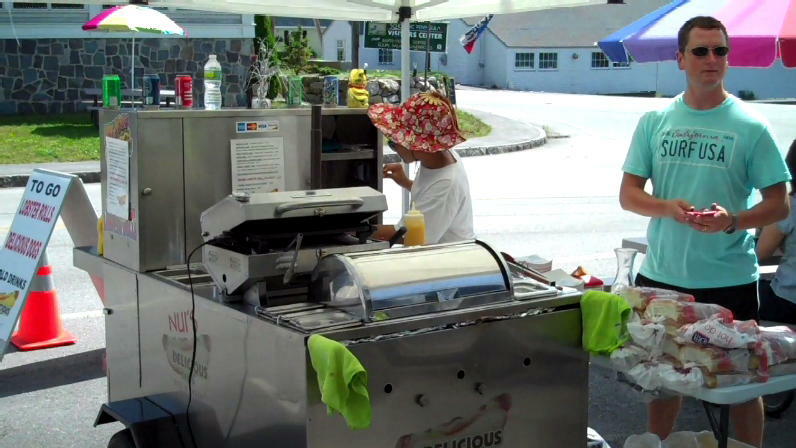 Husband and wife Matt and Nui Johnson run the hot dog business, selling Maine Red Snappers, Pearl Franks, and Lobster Rolls. 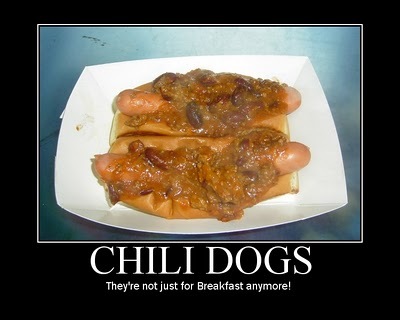 I opted for a chili dog with cheese and Onion Crunch. 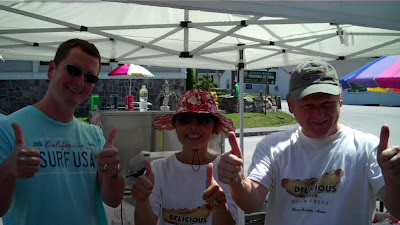 Here's Matt and Nui with Matt's father, Carl, a two time Maine Chef of the year and owner of the Fisherman's Inn. 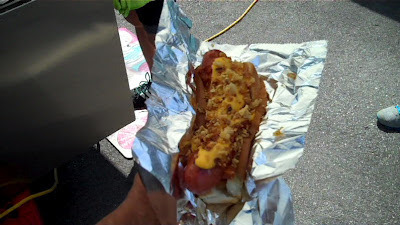 Get the full story on our visit to Nui's Delicious Dogs on Hot Dog Stories.